Composer, Lyricist, Librettist - Who Does What? 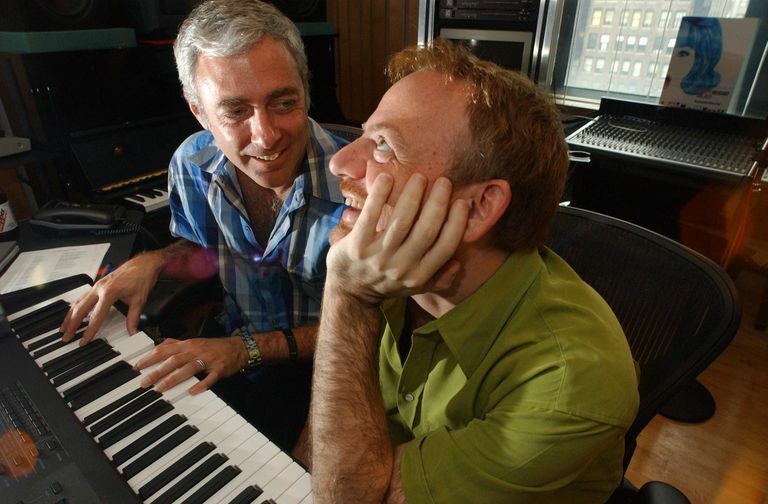 Songwriters Scott Wittman and Marc Shaiman (Photo credit: Jennifer S. Altman / WireImage / Getty). The artistic success of any Broadway musical is usually dependent upon the inherent quality of the words and the music. Sure, there are some shows that have raked in the big bucks based on spectacle, or big-name stars, or songs that the audience is already familiar with. But the truly great shows start with the work of the composer, the lyricist, and the librettist. Here's a quick guide to what these jobs entail. The composer is the person who creates the music for the show. This usually refers to the music in the songs, but it can also include the underscoring for the scenes and even the dance music. The composer's job has changed dramatically over time. During the early days of American musical theater, the mid to late 19th century, many shows didn't even have a composer of record. Whoever was producing the show would assemble the score from preexisting popular songs, and perhaps hire someone to write a few new songs for the show. Sometimes numerous composers would contribute to a show's score, which often meant a lack of overall cohesion to the music. Early in the 20th century, shows with just one composer became the standard, although the task of creating the dance music and underscoring (the music that plays under a scene of dialogue) might have fallen to someone else. As musicals became more integrated and cohesive, composers began to create all of the music in the production to keep it stylistically in sync with the rest of the score (although most musicals do still employ an orchestrator to arrange the music for all the different instruments). Respected musical theater composers over the years have included Cole Porter, Jerome Kern, Richard Rodgers, John Kander, Stephen Sondheim, Jeanine Tesori, Jason Robert Brown, Alan Menken, and Lin-Manuel Miranda. The lyricist creates the words for the songs in the show, also known as the lyrics. The job of the lyricist is a lot more challenging than simply finding words that fit the music. Good lyrics can reveal character, progress the plot, establish the time and place of the show, or some combination thereof. One of the most common questions in musical theater is, "Which comes first, the words or the music?" There is no one answer to this question. There have been many terrific musical-theater writing teams who have worked either way. Some lyricists like to have the melody first, and then fit the words to the existing music. The famed Lorenz Hart was one such lyricist. Others prefer to write the lyrics first, then hand them off to the composer. The great Oscar Hammerstein II preferred to work this way. Other composers, including Cole Porter, Stephen Sondheim, and Lin-Manuel Miranda, simply write their own lyrics. As with composers, the lyricist's job has changed over time. Before Oklahoma! (1943), a show that is universally considered a watershed in musical theater, lyrics weren't always all that specific to the show at hand. In this era, musical-theater writers were more interested in writing popular hits than in creating cohesive scores. As shows became more organically and integrated the music, lyrics, and score, it made more sense that the lyrics would play a bigger role and emerge from dramatic necessity. In addition to Hart and Hammerstein, the great musical-theater lyricists have also included Alan Jay Lerner, Fred Ebb, Ira Gershwin, Betty Comden and Adolph Green, and Howard Ashman. The book writer is the person who writes the non-musical scenes for a musical, which are referred to as the "book" of the musical. The book writer's job also typically includes creating the overall structure and arc of the show. This description is somewhat deceptive, though, especially given that there are many shows that have little or no dialogue at all (such as Les Miserables, Hamilton, and The Phantom of the Opera); in these cases, the book writer's role would be mostly structural. Sometimes the book writer is also the lyricist, and in cases like these, the term "librettist" is used (the "libretto" of a musical refers to all the words, spoken and sung). Very frequently, the songwriters and the book writer will work together, trading ideas back and forth, turning scenes into songs, and songs into scenes. Writing the book of the musical is similar to writing a non-musical play, but most playwrights are not skilled in the specialty of musical theatre books. 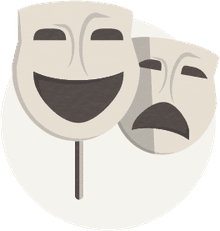 Bookwriting requires an understanding of musical theatre structure and how to integrate song moments in organic and emotionally resonant ways; it's not just creating dialogue to string together between songs. Although a huge part of the success of any musical lies in the hands of the book writer, the job is often a thankless one. The book is often the first element blamed when a show doesn't work, and the last recognized when a show is a success. Successful librettists over the years have included Michael Stewart, James Lapine, Terrence McNally, Lisa Kron, and Arthur Laurents. The tasks of composer, lyricist, and book writer may all be separate roles, or the same person may take on multiple roles. Regardless of the arrangement, a writing team must work closely together to create a unified voice for the musical as a whole. Who Does What Voice on 'South Park'?